You can see an example written and video review here. Expedited reviews are available if you need them. You can request up to 2 changes in the written review after you update your app. 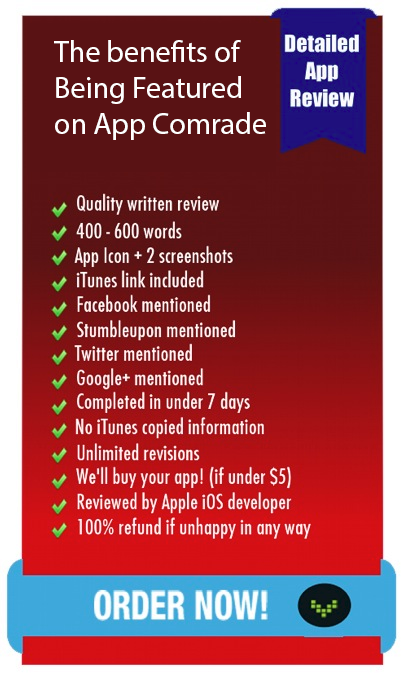 Unlimited changes until you’re happy with the review quality (not opinions… refer to our pledge). To keep reviews impartial and balanced, improvements and shortcomings will be mentioned if they apply to your app. All paid app reviews abide by our fair app reviewing pledge. If you would like unedited gameplay or app footage of your app for commercials, we provide those as well. We also provide app news as well as professional app analysis reports. Full Sea – Buster Ball review. Thank you so much. LOVE THE DESCRIPTION. I will be using you for all our app reviews. From Scon Entertainment Mad Chickens review. Thanks for putting so much effort into this, thanks for everything! Krrb Classifieds – Krrb review.